Wheelers Hill residents rejoice, there is a Yoga studio just around the corner! A convenient 15 minute trip for those visiting from Wheelers Hill; a few turns and you’ll arrive – Ferntree Gully Road, Stud Road, Wellington Road; or avoid busy Stud Park and take Kelletts Road, Taylors Lane to Wellington Road. You’ll find us located in the iconic Wellington Village, upstairs at The Corner. Look out for our neighbours Anytime Fitness Rowville, Brazilian Butterfly and The Butlers Pantry café as you travel down Wellington Road. With so many iconic neighbours, your regular Yoga routine will turn into a regular retreat as you combine a class with a quiet cup of tea afterwards, or wonder aimlessly through Aldi (we’ve all been there)! The real treat however, is when you climb the inviting timber staircase and enter the naturally lit, calming space! Students have reported feeling an immediate sense of relaxation wash over them. 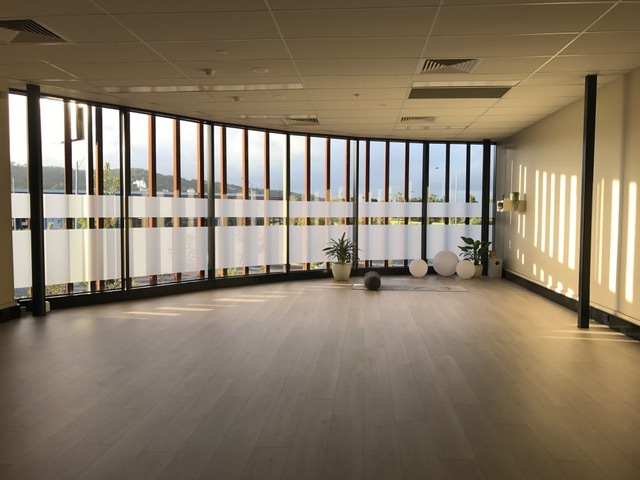 It should also be noted that there are many different class styles on the timetable, all of which provide you with a different approach to Yoga; so whether you prefer to sweat or rest, strengthen or release, we have a class suitable for you. * Please note – Kids Yoga & Events/Workshops are not included in Your Intro Offer, Class Passes or Membership. Prenatal is on the 1st and 3rd Saturday of each month.